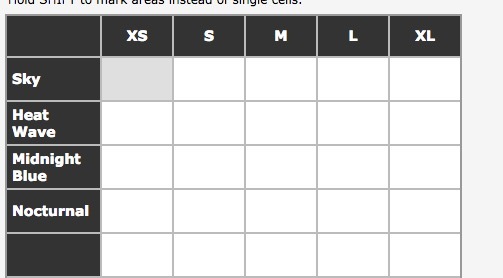 How can I create an order form with a table for the different product options? I provided a screen shot of a widget I used, but this is as far as I got. I need to be able to have the buyer fill our the space in each box with a number. 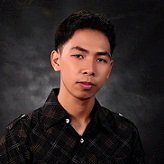 You can use the Matrix field. 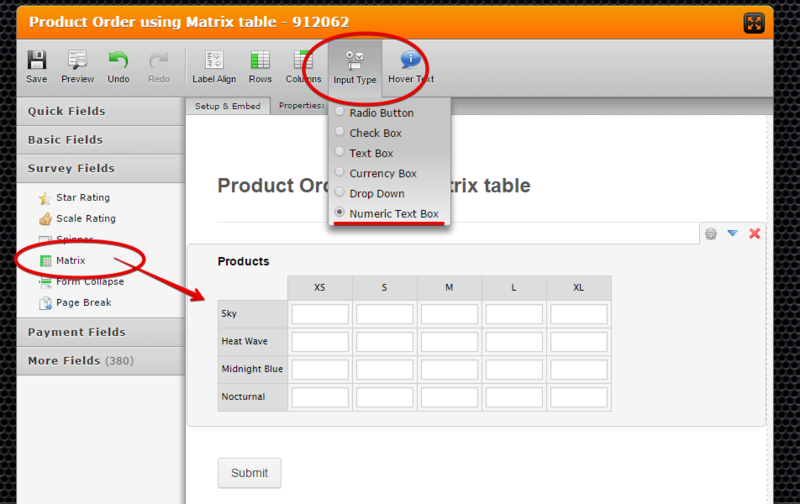 The matrix field value can also be used on custom calculations. 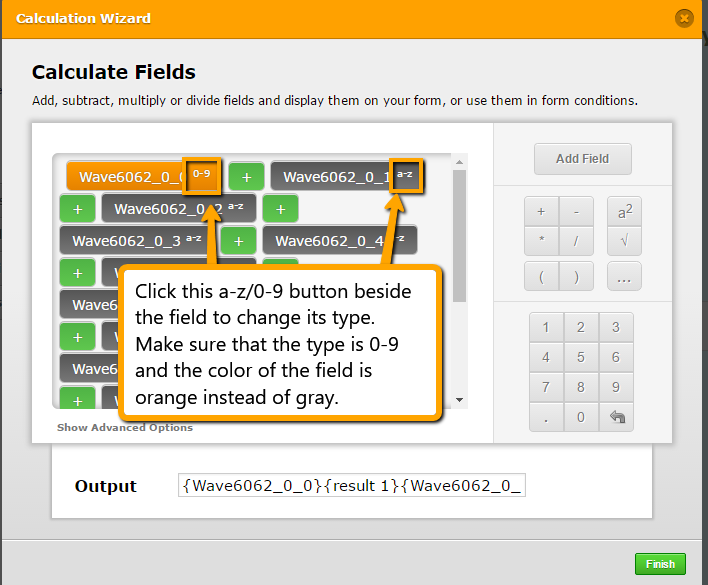 It looks like the values from the Matrix are being displayed as text instead of calculation values, which is why they are not being calculated by the Form Calculation Widget. 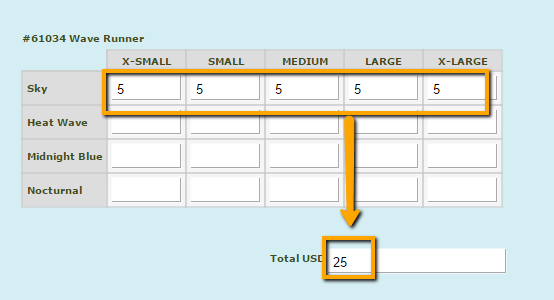 To resolve this issue, open your calculation widget and click on the a-z section of each fields. 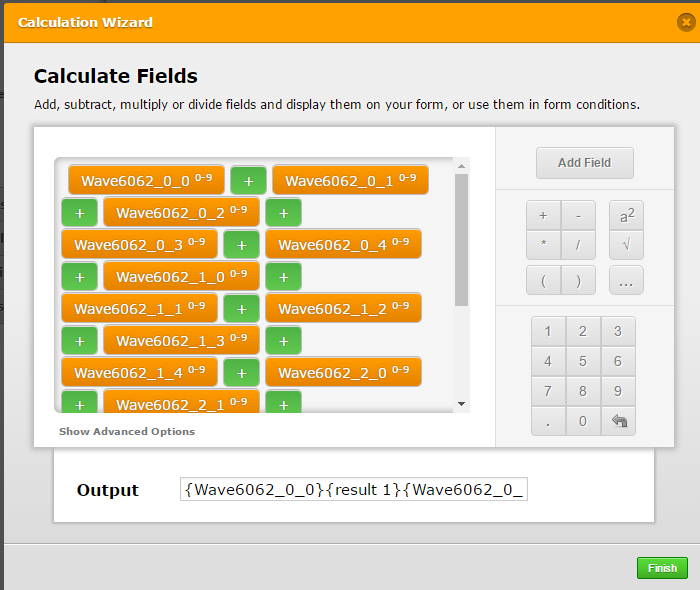 Once all the fields are orange and 0-9, the calculation widget should now calculate the matrix correctly.